Horse genetics is the science of heredity as applied to horses. It is interesting and fun! The word ‘genetics’ was first used to describe the science of heredity by William Bateson in 1907. Horse genetics is therefore the science of heredity as applied to horses. Heredity is the reason for the similarity between parents and their offspring: it’s why plants, animals and microbes reproduce progeny of their own species, and not of some other kind. Your parents, and your children if you have them, are human, and not cats or chimpanzees. 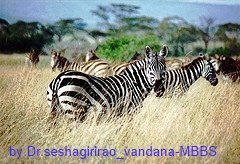 Your horse’s parents are horses and not zebras or donkeys! The basic principles of heredity were first clearly described in 1866 by the Austrian monk Gregor Mendel, but his work remained largely unknown until it was “rediscovered” in 1900. Although Mendel established the principles of heredity through his work on pea plants they apply equally to horses as they do to plants and other animals. Genetics is about the passing of characteristics from one generation to another. It helps explain both the similarities and differences between parents and their offspring, as well as between siblings (brothers and sisters). Even though the science of genetics, and therefore of horse genetics, has only formally existed since the 1900s people have recognized the value of selectively breeding their crops and animals for at least 4000 years, probably for much longer. 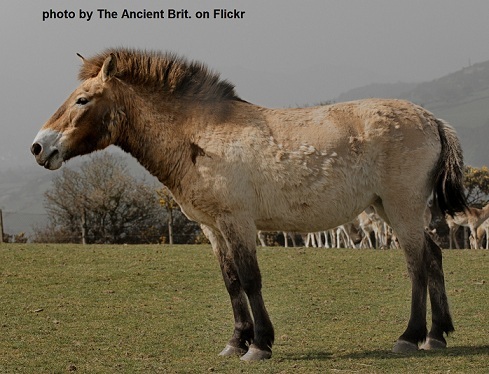 When and where horses were first domesticated is uncertain. 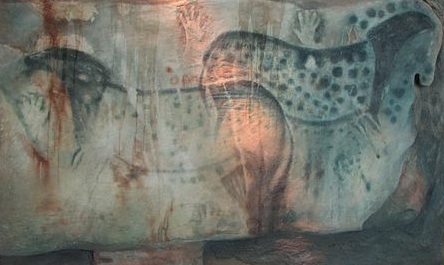 Palaeolithic cave art from around 30,000 BC depicts wild horses, which were hunted for meat. Evidence reported in 2009, suggests that horses were used by the Botai culture in northern Kazakhstan, as long ago as 5,500 years ago. Other evidence indicates that the Khvalynsk herding societies in the steppes west of the Ural Mountains may have had domesticated horses in 4800 BC, while there were domesticated horses in the Eurasian Steppes (Ukraine) at approximately 4000 BC. Chariot burials dated around 2000 BC show that horses were being used for transport by that time. Possibly as early as 3500-3000 BC, and certainly during the period 2500-2000 BC, domesticated horses were in widespread use across Eurasia, for transportation, agriculture and warfare. 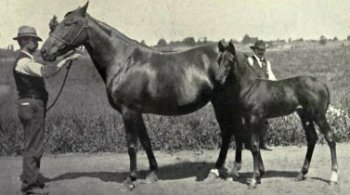 The early horse breeders doubtless discovered that some desirable characters could be passed from parents to offspring: they were practising horse genetics even though they knew little about the principles and theory of genetics. These days when we study horse genetics we want to know how heredity can account for the differences (variation) as well as the similarities between individual horses. Modern day genetics - including modern horse genetics - encompasses not only the principles of heredity but also the study of the molecular nature of genes, and the biochemical reactions with which they are associated. Not only do geneticists study how characters are transmitted through generations they also explore the nature of genes and the other genetic material that control those characters. 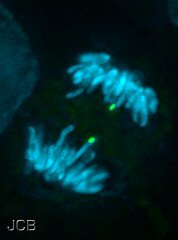 With ever increasing detail, geneticists are learning about how genes control and influence the characters they do. This is true for horse genetics too. 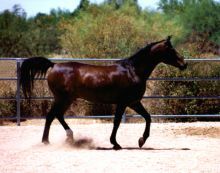 The structure and nature of various genes has been elucidated, including those for some important horse genetic disorders, such as equine combined immunodeficiency that particularly occurs in Arabians and hyperkalemic periodic paralysis disorder in horses of descended from the quarter horse stallion Impressive. Horse genetics has long been associated with the genetics of coat color and this too is now being understood in ever increasing detail, although more still remains to be learned. Students of horse genetics should always remember that variation is caused by both heredity and the environment (and the interaction between the two). 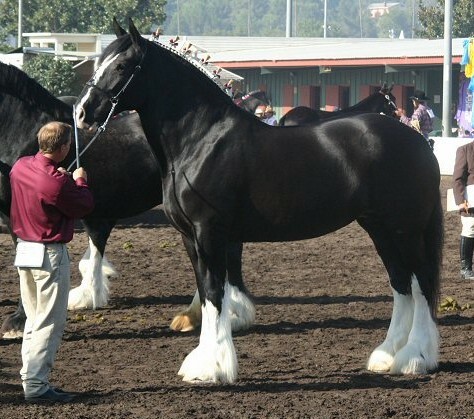 Different breeds of horses have distinctive physical features, including, for example, their average height and build, and the shape of their heads. We know that these differences are largely due to heredity because horses retain their breed characteristics regardless of the environments in which they live. American quarter horses look like quarter horses whether they live on a large ranch in America, a small stud in Europe or as a youth’s horse in Australia. 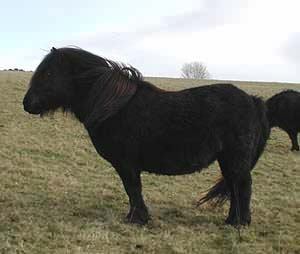 On the other hand a Shire and a Shetland will look different from one another even if they are raised at the same stables and trained by the same person. The environment will nevertheless influence such characters as weight and muscle, which will vary according to nutrition and exercise. Athletic ability and temperament may also depend on various environmental factors, including nutrition, exercise, and the skill and temperament of the trainer. A dressage champion may only have champion offspring if they are trained and ridden by expert dressage trainers and riders. 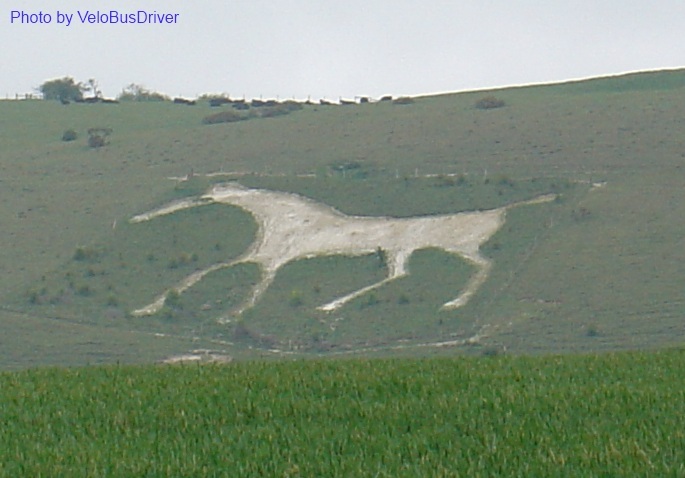 Accident too is another form of environmental influence that can affect a horses appearance. Mares with a blemish might still make good brood mares if the blemish is non hereditary. The major differences and similarities in the way these four horses look are due more to genetics than environment. Some characters though, such as behaviour and fitness, are more influenced by the environment. To learn more about the principles of genetics as applied to horses, or just to revise some basics, go to the basic horse genetics page. Other pages deal with specific colors and patterns and their genetics. There are many horse genetics research papers in scientific journals, but finding good up-to-date horse genetics books suitable for the novice is more difficult. Horse Genetics by Ann T. Bowling is quite good, and I like Jeanette Gowers book on color, because it's well explained. The principles of genetics apply generally to all organisms, and so apply to horse genetics. A good general textbook can therefore be helpful to those particularly interested horse genetics.